SUMPRODUCT multiplies 2 arrays (or more). 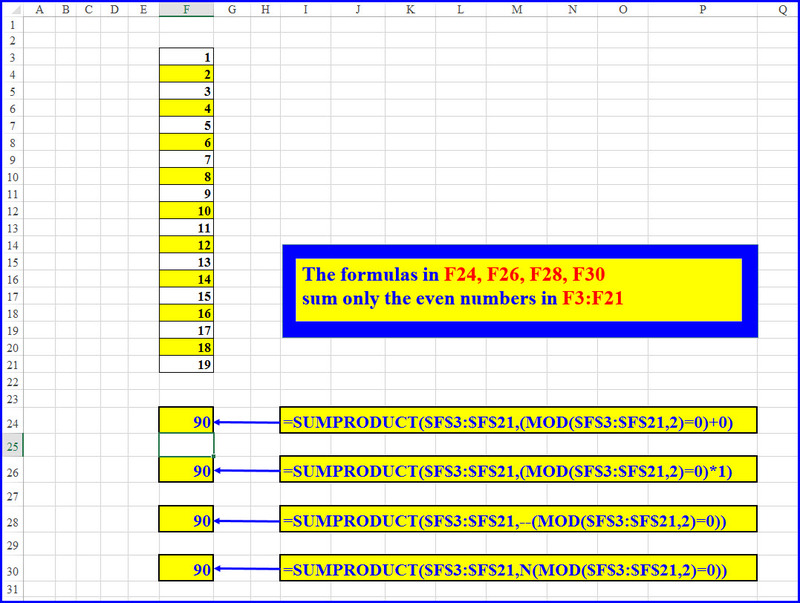 Each element in the first array is multiplied by its corresponding element in the second array, and the final result of the formula is the summation of all these multiplications (SUM of that PRODUCT = SUMPRODUCT). 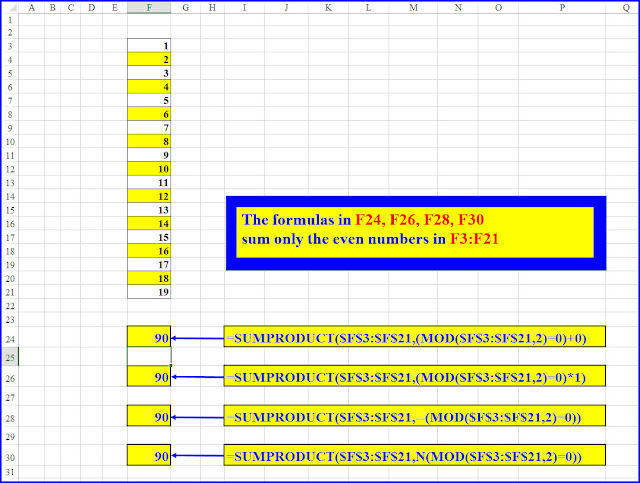 The first array F3:F21 is the numbers in F3:F21. The second array calculates only the even numbers in that range. The expression: MOD(F3:F21,0)=0 checks each and every number in that range to see whether it is odd or even. The answer for each number is either TRUE or FALSE. But Excel cannot multiply numbers by a Boolean expression, so we need to convert the series of: FALSEs and TRUEs into 0’s and 1’s. FALSE or TRUE with (2/2 = 1). So, the second array becomes an array of alternate: 0 and 1.